Sports and politics collide weekly each Tuesday. 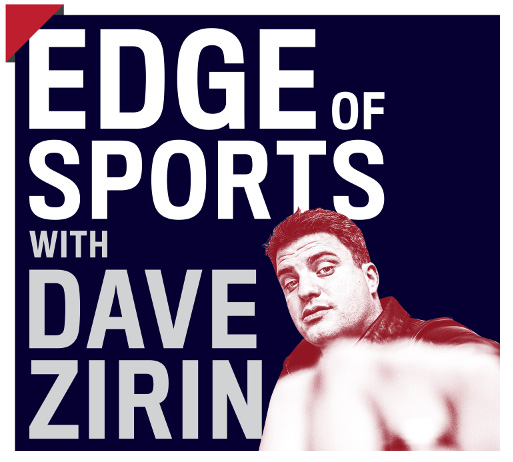 New York, NY—March 7, 2017—Dave Zirin, the first sports editor in The Nation’s 150-plus-year history, brings his wildly popular Edge of Sports podcast to TheNation.com. Beginning Tuesday, March 7, 2017, the program will be hosted on our site and feature new weekly episodes of original conversations with the trailblazers and earth shakers operating at the intersection of sports and politics in America and around the world. Zirin, who first joined The Nation over a decade ago, hosts a signature mix of sports, politics, history and culture icons with a combative take-no-prisoners approach. Previous guests on Edge of Sports, which began airing in 2014, include Kareem Abdul-Jabbar, John Legend, Martina Navratilova, Don Cheadle, Chuck D, Noam Chomsky, and numerous other voices at the forefront of our national conversation on the politics of sport. The inaugural Nation episode, “The Enduring Legacy of ‘Hoop Dreams’,” features an interview with legendary documentary filmmaker Peter Gilbert, harsh words for Mike Francesa, and an exclusive statement from Seattle Seahawk Michael Bennett in support of the strike on International Women’s Day. Subscribe on iTunes, Stitcher, and SoundCloud for new episodes each Tuesday. Edge of Sports joins The Nation’s growing podcast offerings, including the weekly Start Making Sense—political talk without the boring parts. First launched in November 2015 and produced in partnership with the Los Angeles Review of Books, Start Making Sense features host and Nation contributing editor Jon Wiener in conversation with the writers, activists, and artists who shape the week in news and the world we’re in. Listeners rave: Beyond smart. Insightful. Quick. Always interesting. Funny. Great guests. Great host. With all of the misinformation in the media today, [Start Making Sense] is very refreshing. Available on iTunes, Stitcher, and SoundCloud, new episodes air on Thursdays. Edge of Sports also follows on last year’s enormously successful limited-term series partnerships with WNYC Studios: There Goes the Neighborhood, an in-depth look at the calamitous consequences of gentrifying Brooklyn, and The United States of Anxiety, which took listeners inside the minds of Trump supporters during the 2016 presidential campaign. Hosted by Kai Wright, each was voted one of the “Best Podcasts of 2016” by The Atlantic (#15 and #2, respectively).